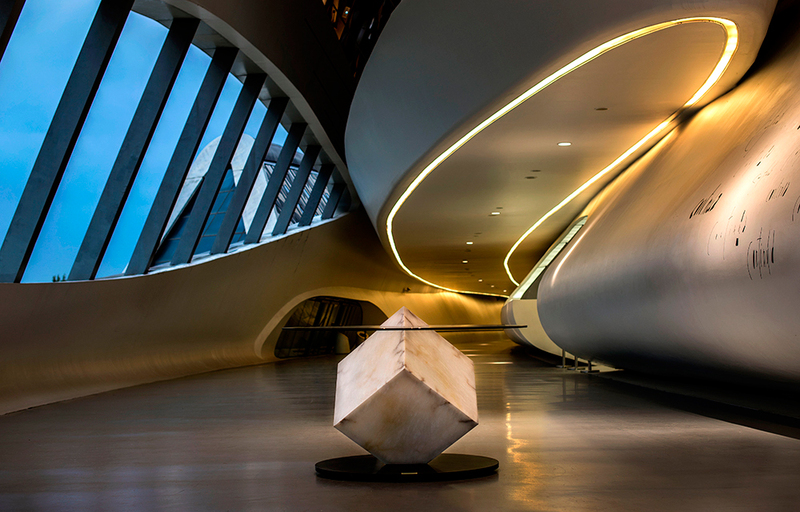 Amarist Studio presented Cupiditas Table in the spectacular Bridge Pavillion designed by the prestigious architect Zaha Hadid. 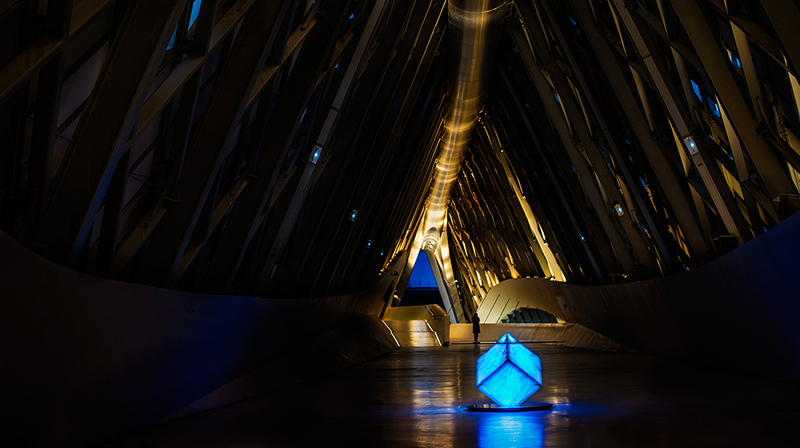 Located in Zaragoza, Spain, this impressive project was planned to become the entrance door for the International Expo 2008 dedicated to the theme of Water. 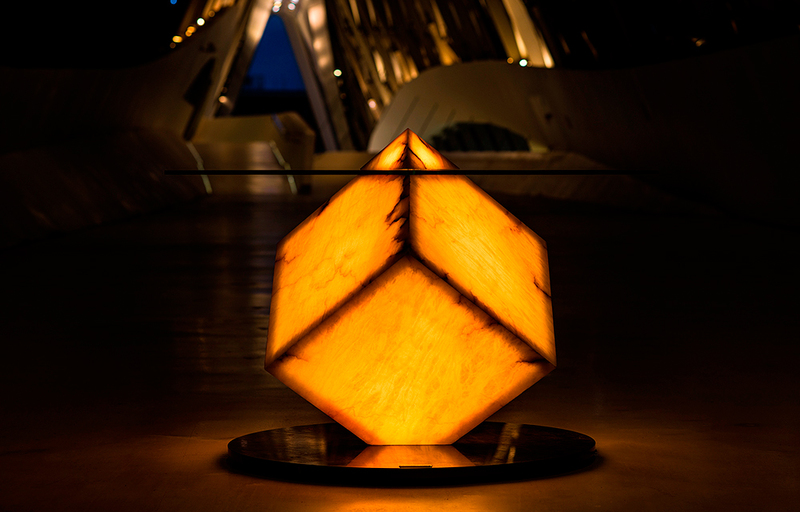 The Bridge Pavilion is defined as an object that grows from the natural conditions of the Ebro River and its banks. 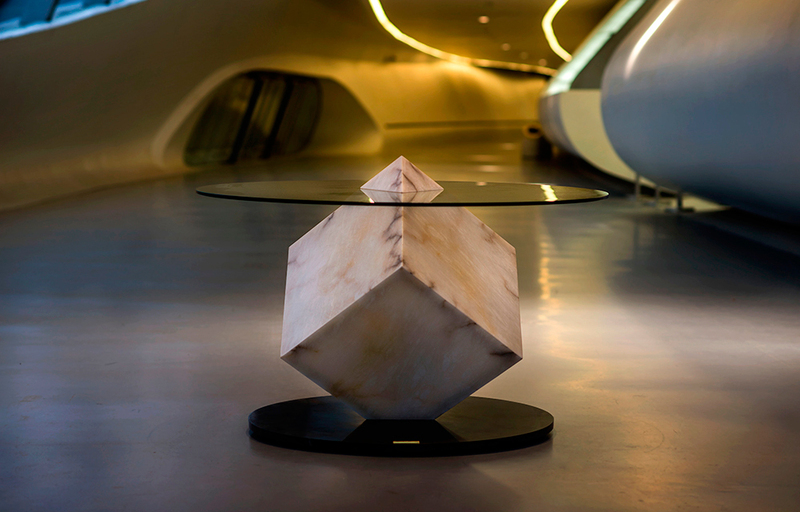 Amarist Studio picked this singular spot to present and enhance its newest creation Cupiditas Table made with Alabaster Stone since most of the world extraction of this translucent material is located along the Ebro River. 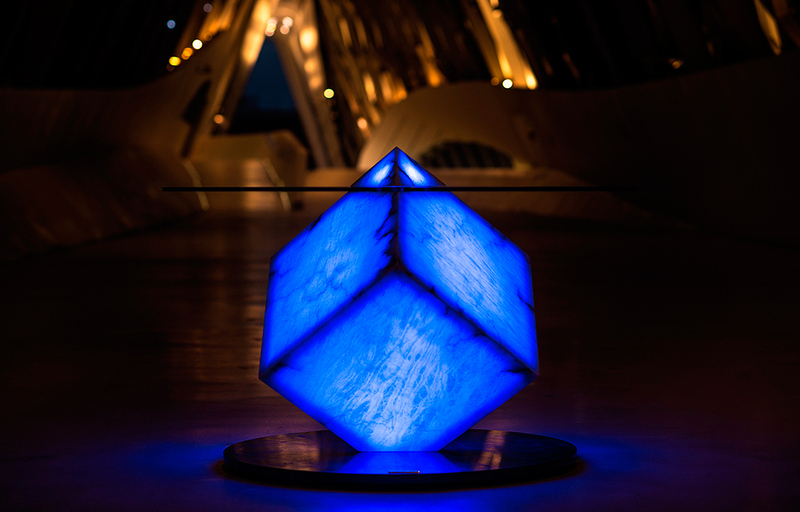 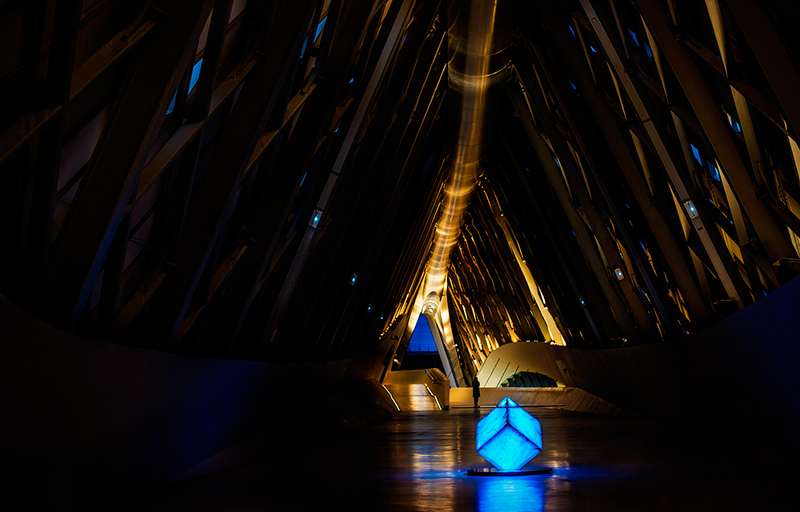 In this way, the unique creation Cubiditas shined at its best in the Pavilion’s heart. 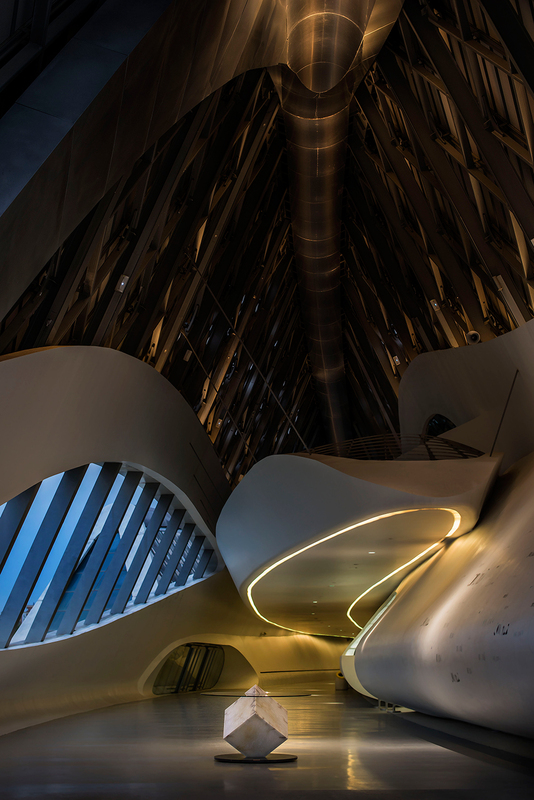 The cubic structure of the sculptural piece beautifully contrasted with the organic lines of the building, while blending in its same innovative character.